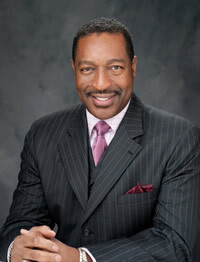 Dr. Kenneth Samuel is the Pastor for the World Church in Stone Mountain, which has dual standing as an Independent Baptist Church and an active congregation of the United Church of Christ. He currently resides in Ellenwood, Georgia and is the proud parent of his daughter Kendalle. As a well-respected pastor and civil-rights leader, Rev. Samuel has always been an outspoken activist for equal rights for all. It is in part his experience working towards civil rights for all, as well as his strong adherence to faith, that propelled Rev. Samuel to speak out against the so-called Religious Freedom Restoration Act in Georgia, which he is certain could open the door for discrimination against people who are gay or transgender. Rev. Samuel touches on just some of the reasons he opposes this mean-spirited and harmful legislation.